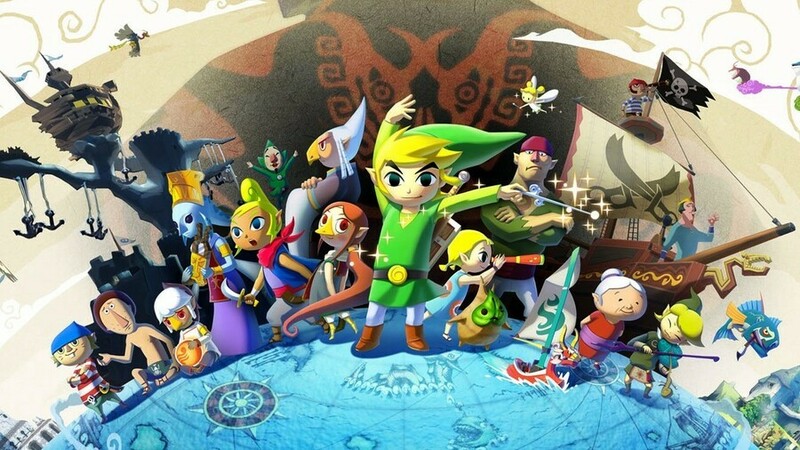 The Legend of Zelda: The Wind Waker got off to a rocky start with fans. The 'Celda' backlash may seem like a dim and distant memory now, but at the time many fans were furious that their beloved series was being twisted and turned in a way they didn’t agree with. Fancy that, eh? Fortunately, Nintendo stuck to its guns and Wind Waker’s timeless art style holds up in a way many other games of the era struggle to in these Ultra High Definition times. Even its harshest critics have calmed down a little and come around to its clean and simple animated style. Look closely and you’ll see that many of the game’s characters share identical body models, with only head and clothes textures changing. It’s not something we’d have ever noticed without having it pointed out, but now it’s the only thing we’ll be able to think about when we next fire up the GameCube classic. It goes so show just how clever and economical Nintendo’s development team was when called upon to save memory on those cute little GameCube discs. Had you ever noticed this before? Can you think of any other examples of body-swapping (or, more accurately, head-swapping) models in other games? Let us know in the comments below. I'm sure this was noticed, and fairly normal for games in general. Neat, I mean this is basically what Animal Crossing does too with all of its villagers. It's one of those things that you probably notice but never really care enough to comment on since it does its job well. It's like the bushes in Mario bros. also being clouds. Just efficient. Really? Oh my God. What's next? Are you gonna tell me that Scorpion and Sub-Zero in MK are the same dude but with a pallet swap? This goes for almost every game, though. For example in Skyrim you can make a hero that looks exactly like any of the NPCs. Only differences in body sizes / shapes is their gender and race. Any NPC is just a preset combination of those. Yeah I thought it was clear they had a few different body types and made the various characters with them. But I guess it’s nifty to see the back to back comparisons. ...Yup. Turns out that happened in Majora's Mask and Ocarina, too. I actually have noticed this before, many years ago. Especially with the two big brutes. So many games did it at the time that I didn't think anything of it, so it is kind of strange that it is just now being acknowledged. I do love little articles like this though. @Bobb I didn't notice that either! Pretty neat to know now though. @GremmPaltakin Thanks for the correction. At least it wasn't about the pallet swap. Yeah I have trouble seeing how this is news in any way. When it comes to game development, 3D modeling, or hell, even programming in general, it's almost vital to reuse your code or assets. It saves on development time to an insane degree. It would have been news if they made new models for everyone from scratch. Sorry, I didn't mean to sound pessimistic but nearly every game does this. Still one of my all-time favourite games. I never got around to it on GameCube, not because I didn't want to though...I just didn't have the time. But I got the WindWaker HD on Wii U & I absolutely loved it. I was sad when Nintendo shut down Miiverse because I got so many of my collectible figurines from that service from the photos I missed taking early on in the game. Guess now I'll never finish unless I restart the game. Ugh. Guys.. guys! You didn't point it out on twitter! That obviously means no one has noticed it before! It also makes it super important! Slow day, huh? This is pretty common in game development by the way. They also share the same underwear, you just can’t see it. Really, trust me on this one! I m pretty sure all the goombas uses the same body !!! It’s a conspiracy !! I remember when the game was new. I didn't follow its development, so I didn't care much about the art direction. What I found was that the cel chading looked a lot nicer in action than it did in the screen shots. ??? Developer techniques be damned. There's nothing new about this. So some guy noticed something which is common in NPC development. Whoopee. Exactly how is this news? This has been going on in gaming like forever. I hear the ghosts in Pac-Man all use the same sprite work too, but I haven’t seen any twitter videos to confirm this yet. Just a hypothesis at this point I guess. Fairly obvious, yet still cool to see the comparisons. 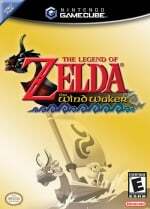 I played Wind Waker for the first time on the Wii U back in late 2017 and enjoyed it. @chardir In that era, absolutely. I'm playing WW again right now, and I can tell you this doesn't ruin any of my enjoyment. I saw the picture and for a split second thought Wind Wake coming to Switch. Is this really news? I'm pretty sure this is a common practice for most games. Wait is this really to save space on the disc? It just seems like they did this to speed up development time. Googling the size of the game, it seems to be 1.01 GB for the NTSC-U version, that means they had 350 MB left to fit on those cute little GameCube discs. I'm mostly just confused why this Wind Waker video is using a Twilight Princess song. Majora's Mask discovered to have reused most of its assets from Ocarina of Time! I think they call this one 'Efficiency'. I wouldn't compare myself to Nintendo but I do try to use it in my work, too. I wouldn't hold this against Nintendo. I use the same body for myself every day, nobody has said anything about it. I know a lot of folk will resent me for saying this: but I really want the HD Zelda games ported to Switch. Gavin, you seriously never noticed this before? I'm pretty sure most people noticed this many years ago. And as others have said, this is pretty common in video games (especially in games with many different NPCs, it makes no sense to waste time making a different model for each of them). I've shared one body before, but that's NSFW. "How did we not notice this before?" That is, indeed, a good question, since it was glaringly obvious...especially since it's such a common practice to recycle animation rigs and/or entire meshes. When you're a background NPC, is it really that important to be unique? Pretty much anything animated using puppets is going to have characters made from just a few reused body types. Could you imagine the ridiculous amount of unnecessary work if each and every NPC in video games had a totally unique body type built from scratch? Besides, unlike many games, each Wind Waker NPC felt unique both in look and personality. Hello Nintendolife, welcome to game development. This isn't even close to a big deal. You can even argue that saving time during production is only one aspect of it. Doing this is also about creating a unified style. Comic book artists have been doing this exact thing for decades. Just take a look at the work of artists such as John Byrne or Mark Bagley. With little variation, Byrne really only draws maybe one or two face types per gender. He creates these huge casts by changing hair styles, colors, costumes, & skin tones. He's pretty much got it down to a "paper doll" type system. That's fine though. It simultaneously defines his signature style and allows him to crank out work rapidly. With Zelda, the characters who need to look different do. Link's hat, posture, & accessories give him an instantly recognizable silhouette. From a design perspective, that matters way more than whether or not the basic model is recycled. Besides, IRL, humans all pretty much use the same very limited "set of models" anyway. The human anatomy lends itself to recycling of traits. With 7.5B people on Earth, the average person probably has an untold number of doubles out there... somewhere. If it's good enough for nature then it's good enough for game art. Never noticed, but it doesn't surprise or annoy me. That said, there are many skins in Breath of the wild, maybe a bit to much.